The Chefmaster Galley Series bbqs are delivered fully assembled, and include a cover, rotisserie, esky, rubbish bin, kitchen towel holder, and a wood smoking box (pictured below). But how do you use a smoking box? We’ve done some reading, and like the “Firepit and Grilling Guru” website, see extract below. Gas grills are not made to accommodate wood and ash within the grill. Therefore, you cannot, or should not, put smoking wood chunks or chips directly in your grill or on the burners. Instead you will need to use a smoking box. These can be found most places where grills and grill accessories are sold. If you don't have one, you can substitute aluminum foil (see below). 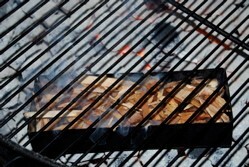 To Soak or Not to Soak - Some people soak their smoking wood chunks or chips before adding to their grill or smoking box. The theory is that if you add dry wood, they will simply burn quickly, releasing some smoke in the process but will be gone before long. If you soak them, they do not ignite quickly and will release savory thick smoke for a longer period of time before burning up. Either way is fine but I prefer to soak them, particularly if I am smoking or cooking for a prolonged period of time. Another option is simply to add additional dry wood periodically as the previous wood burns up to keep up your steady supply of smoke. To soak your smoking wood chips or chunks, simply submerge in water for about 30 minutes or so before use. Because most pieces of wood float, you may need to place a plate or cup on top to keep the wood completely submerged. 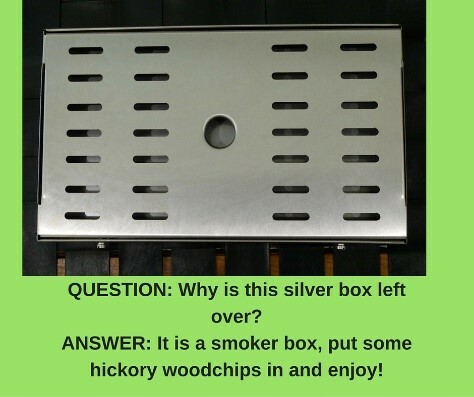 Fill You Smoker Box - After soaking, simply fill your smoker box with smoking wood and close the lid if there is one. It's that simple! If You Don't Have a Smoking Box - If a smoking box is not available, you can substitute aluminum foil. Use a couple sheets to wrap up a handful of smoking wood. Wrap it up tightly so that the wood is not exposed in any large areas. Then poke several large holes in the top with a fork or skewer to allow the smoke to escape. Add to the Grill Before Starting to Cook - You are now ready to add your smoker box to your gas or natural gas grill. Simply add your smoker box between your cooking grate and the burners or heat briquets/stones. The box does not need to be surrounded by flames, in fact it is better if it is not. Just make sure it is close enough to the source of the heat to begin smoking. I prefer to place my smoking wood toward the side of the grill, away from the center of the grill, so that if it ignites and burns the flames will not burn my food. The wood should be added to your grill early before your food. Most wood takes 10 to 20 minutes to start smoking maximally. This varies depending on whether the wood was soaked, the size of the pieces and the heat the wood is exposed to. Cooking your food - You can now cook your grilled food recipes as you normally would. However, one tip I recommend is to keep the lid of your grill or barbecue closed as much as possible throughout the cooking process. This allows hot, aromatic smoke to accumulate under the lid, swirling around your food. This literally bathes your food in rich wood smoke aromas which permeate the food as completely as possible. Quickly seared foods with an open lid will not acquire as much wood smoke flavor as food which is slow cooked with the lid closed for most of the cooking time. If you are cooking for a prolonged period of time, such as when cooking a larger roast or rack of ribs over indirect heat, periodically add some smoking wood if you notice the supply of smoke diminishing. This can be difficult with most gas grills as it requires removing the hot grill grate with food on it, taking out the smoker box to refill it and then replacing everything. One way to expedite this process is to have a spare smoker box already filled with wood ready, so that you can simply lift the cooking grate a bit and slide the new box in. WHERE DO I GET THE WOOD CHIPS? We like the “Smoked and Cured” website, it has a large range of wood chips available, as well as a comprehensive flavour guide (see below), be prepared to be inspired! Misty Gully's premium range of Gourmet Smoking Woods are the largest in Australia. All of our woods are sourced from Australia and the USA's finest providers of all-natural, chemical free smoking woods. Beech - a long smoking hardwood, delicate flavour similar to Oak. Jam - ideal for smoking in a weber or hooded bbq. Mild slightly spicy smoke, that burns well at slightly higher temperatures with proper soaking. Aus native. Mallee Nuggets - from the WA desert, these provide a dense, rich earthy smoke ideal for pork and chicken. Pear - slightly sweet, with a dull spice, suitable for poultry and port. Pecan - Aussie native, very similar characteristic to Hickory, with nutty undertones. Perfect allrounder. Plum - our current favourite! Like a sweet and spicy take on a classic Hickory smoke. Fast growing in popularity in smoking circles. Sandalwood - unique - with the majority of the natural oils removed - this smoking wood provides a very mild, exotic and spicy smoke that tastes and smells great. HOW FAR HAS A BLUETONGUE BBQ TRAVELLED? All our stock leaves from the Sydney warehouse. Our transport company is Cope Sensitive Freight, they are not the cheapest national transport company, but they are the best in terms of not damaging our product. So what is the greatest distance a BlueTongue BBQ has travelled? Distance: 5,315kms. 52 hours driving, but we reckon the BlueTongue took longer. Distance: 3,991kms, a mere 42 hours driving! Distance: 2,096, but that included a ferry ride! 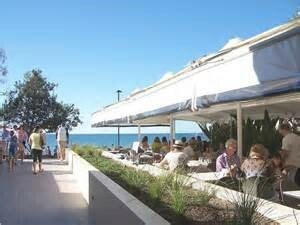 What is the greatest distance a BlueTongue BBQ client has travelled to look at our product? If you do live in one of the more remote areas of Australia don’t hesitate to speak to Bluey about freight rates. Once the national transport companies get “off the beaten track” they can become very expensive – sometimes a better option can be for us to ship the BBQ to the closest metropolitan depot, and the client arranges their own local delivery to their home. And our most popular destination? 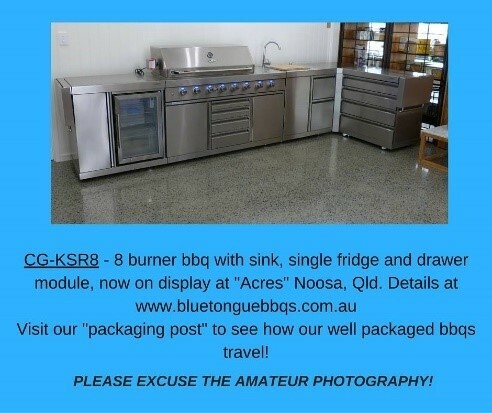 Spring is the perfect time to upgrade to a Bluetongue BBQ or outdoor kitchen, and for our Qld clients, a great excuse for a day trip to idyllic Noosa to see our product. 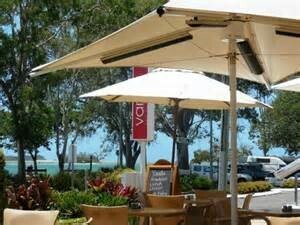 Take a leisurely drive from Brisbane, passing the spectacular Glass House Mountains along the way. (The view from the lookout alone is worth the trip). Arrive at Noosa in time for lunch, and choose from the hustle and bustle of Hastings Street watching the world go by, or relax in a beachfront café and watch the surfers…. Or enjoy the slower pace of Gympie Terrace in Noosaville watching the lazy river flow by, and choose your style of catering from takeaway fish & chips to the most upmarket of bistros. 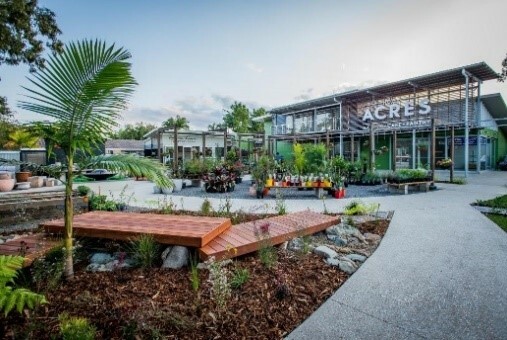 Or indulge in Tapas, at Acres Noosa, a lifestyle complex in the heart of Noosa, with the Bluetongue BBQ/Outdoor Kitchen now on display in The Alfresco Room. For more information on BlueTongue BBQs, including full range of bbqs and outdoor kitchens, freight rates and pricing, see http://bluetonguebbqs.com.au or give “Bluey” a call, seven days a week, on 0414 717 535. He knows everything about BlueTongue BBQs, and quite a bit about Noosa, one of his favourite Australian holiday destinations!